On April 18th, 2018 I’m launching my first Kickstarter campaign. It is NOW LIVE! 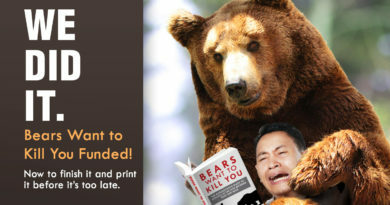 With the popularity of these bear facts, tips and news, especially on sites like Facebook, Imgur and Reddit, I decided it was time to make the book. My name is Ethan Nicolle. My last name—while manly—is pronounced just like the girl name. It’s always good to get that out of the way. I am known mostly for creating AXE COP with my little brother, Malachai. It was an amazing adventure that became a six-volume comic series and two seasons of an awesome TV show. 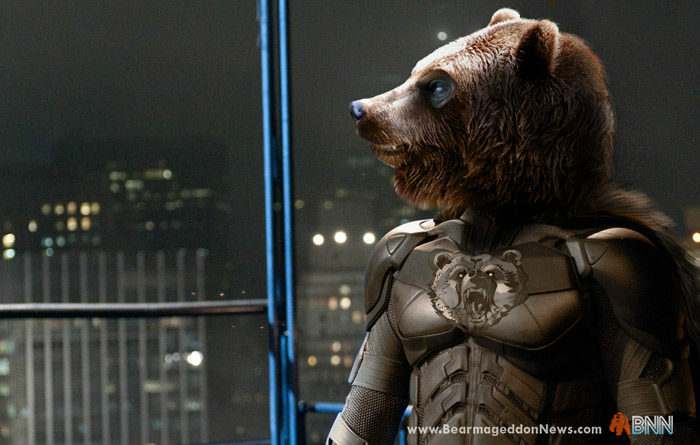 And while I’d be fine with only being known as the Axe Cop guy, I’ve had an insatiable fascination with bears for quite some time. 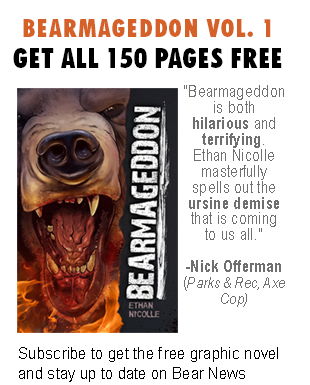 I had this Bearmageddon idea I was obsessed with, so I made that my other webcomic. 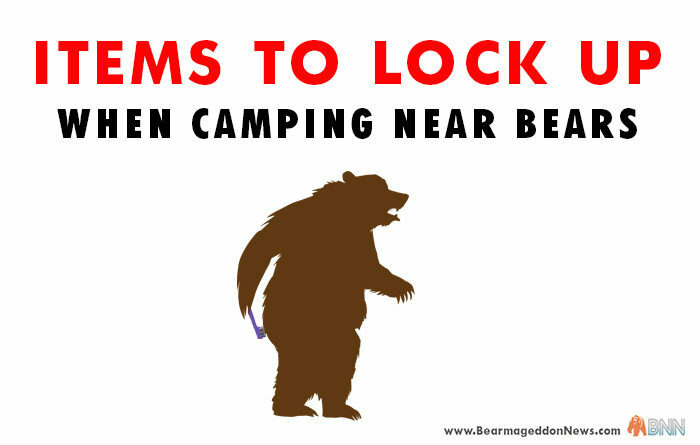 Without the luck of it going viral, It was a lot harder to get people to read it, so I started making bear safety memes in an attempt to generate viral interest… a sneaky way to market my other webcomic. I had a vision and I ran with it. 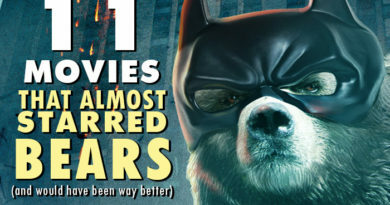 While the webcomic has grown steadily over the years, even getting a small film deal in China, the bear safety memes themselves have been shared millions of times and made the front page of sites like Imgur and Reddit. 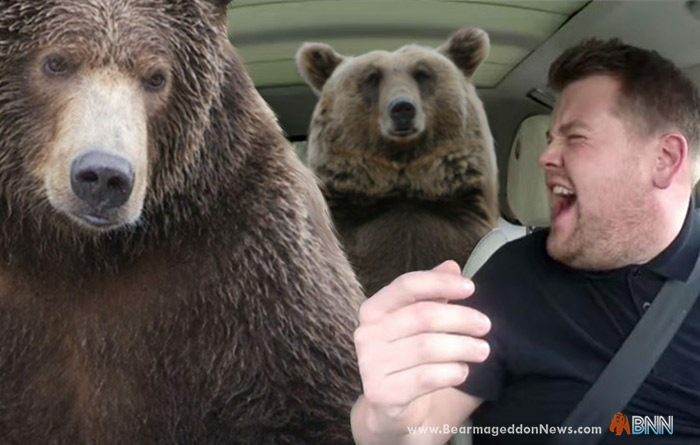 I got so into making these things, I made my own Onion-style parody news site called www.BearmageddonNews.com. A.) I want to try this Kickstarter thing! I’m super nervous right now. C.) Part of the money will go towards my time making the book. If I only do this thing in my spare time it will take a lot longer than if I can get some financial backing. 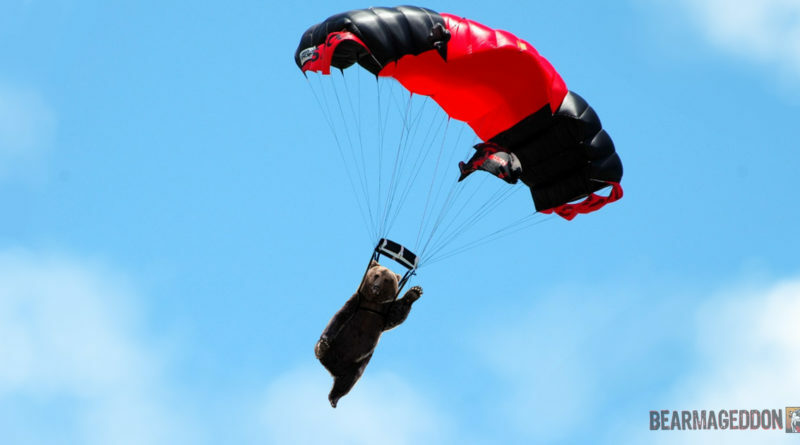 It seemed it was time to make the authoritative satirical book on bear safety. I have about four chapters completed of a planned twelve. 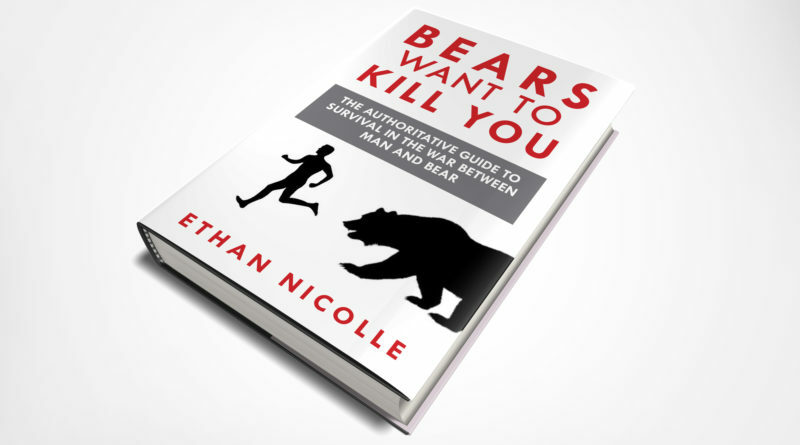 Chapter 1: An Introduction to Bears—The basics of bear biology, habits, wrestling moves, and how they plan to kill us all. 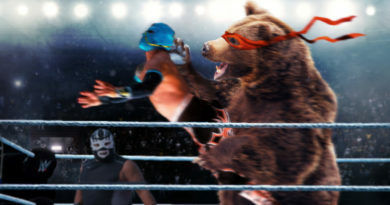 Chapter 2: Basic Bear Attacks—The basic attacks of bears from the claw swipe to the spinning piledriver. Chapter 3: Advanced Bear Attacks—Advanced bear attacks that have been witnessed by very few including wizardry, tsunamis, and plagues. 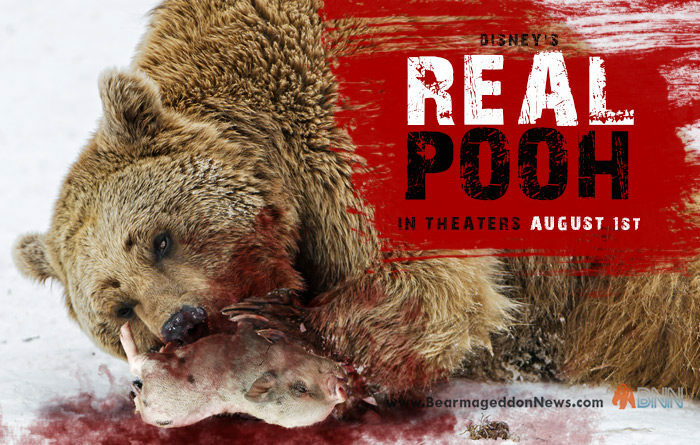 Chapter 4: How to Be Prepared——Ways to be ready before a bear shows up to kill you. 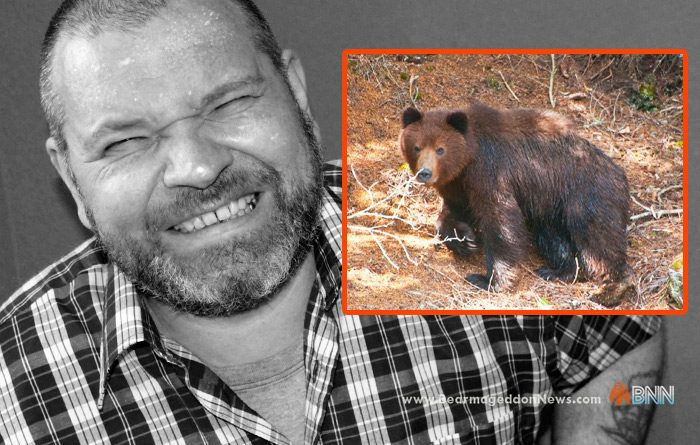 Chapter 5: Bear Stealth Techniques —Places bears are hiding you never even thought of. 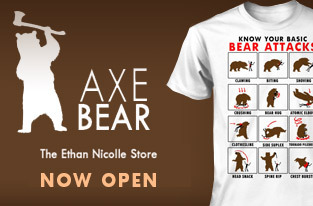 Chapter 6: What to Do in a Bear Attack—When a bear is attacking you, these are your options. Chapter 7: A Guide to Bear Fighting—Some of the common counter-attacks and fighting techniques to use against bears. 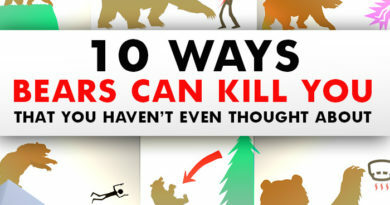 Chapter 8: Bear Spray and Other Lies—Dispelling the common myths and misconceptions about bears. 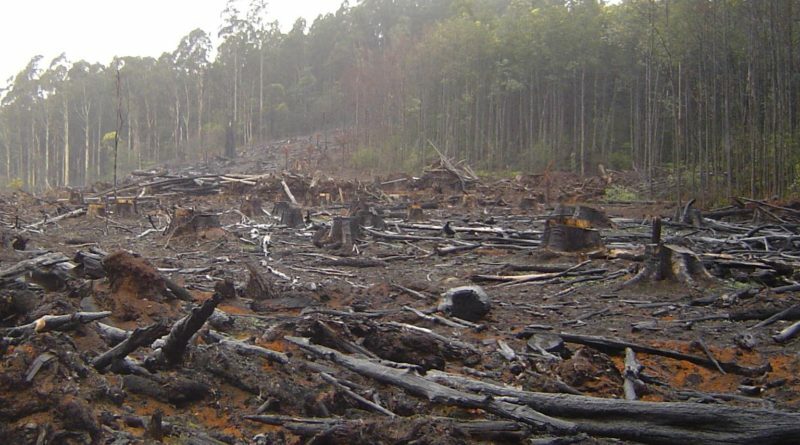 Chapter 9: Rare Bear Species—Rare and undocumented bear species, their origins, habits and potential threat. 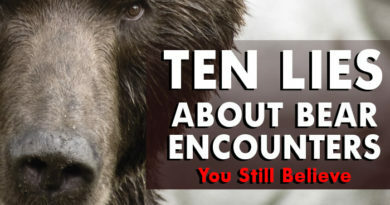 Chapter 10: Bear News; True Stories That Went Unreported—A collection of true stories about bears so unbelievable the mainstream media hid them from the public. Chapter 11: How to Defeat a Bear—The shortest chapter in the book. Chapter 12: Further Information—Additional materials and information. The book will be around 200 pages and packed with illustrations, charts and informative graphics. Get the PRESS RELEASE KIT here. This is awesome. I want this book. When and where are they available? The Kickstarter funded last month so it will be done in about a year. Join my mailing list to find out when preorders go up!